Pumpkin is almost synonymous with Fall. 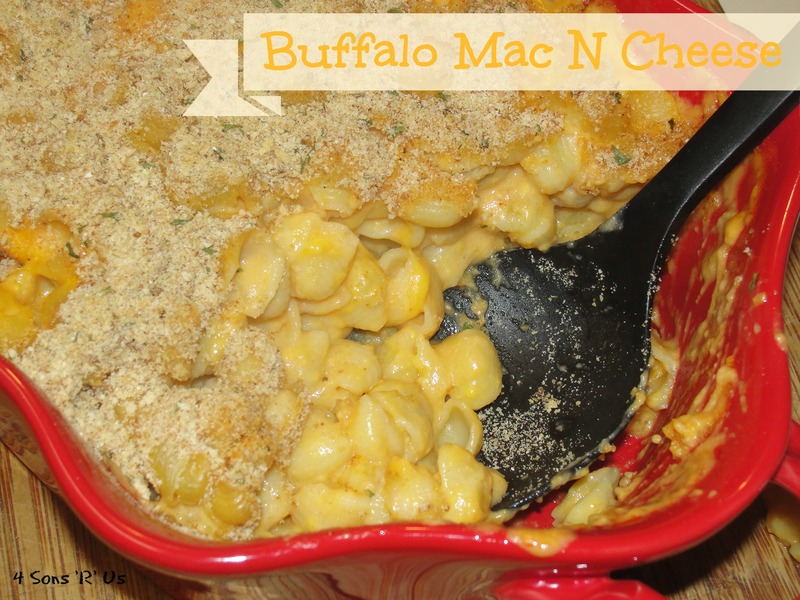 Jump on the bandwagon and add it to our classic macaroni and cheese for a bowl of truly rich and creamy comfort food. This Pumpkin White Cheddar Macaroni And Cheese is trendy, it’s in, it’s got pumpkin, and it’s just about the best thing to ever come out of a warm kitchen. I’ve heard of some pretty crazy pizza ideas. The sons tend to let them go in one ear and out the other. They’re your garden variety, pizza traditionalists. Cheese, and occasionally pepperoni is as far as it goes for them. I ordered a superme pizza for the hubs and I? Cool, but don’t I dare go trying to put anything remotely healthy, especially not vegetables, on their most sacred of treats. Occassionally, we will have a reason to go out for pizza. The hubs and I typically prefer our own or a more traditional Italian pizza. The sons? They could give a rip about quality. Usually we will take them to CiCi’s Pizza where they can pig out to their little hearts content on the all you can eat buffet. It’s like their Mecca, and while on their pilgrimage they’ve always got to get some of their Mac & Cheese pizza. On one of our pizza nights, while prepping dough, I suggested we shake things up a bit. Gotta keep em on their toes. While I didn’t exactly have a recipe for them, I had an idea. This was the result, and they were instantly in love with this weird, hybrid, inter-ingredient brain-child of mine. Your inner child, and your naturally more sophisticated adult self will get together and do the happy dance when you give this a try. Seriously, it’s fun for all ages. And it tastes good, too. 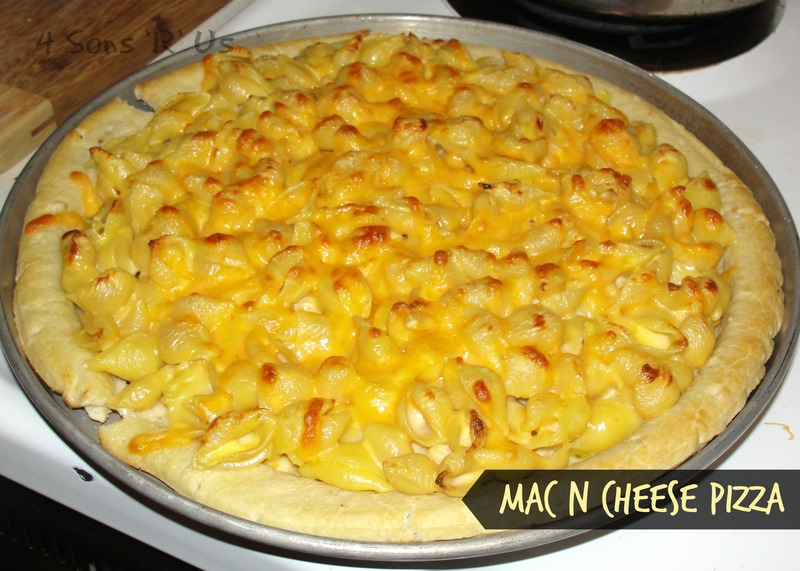 Kids and adults will both love Mac & Cheese Pizza — two of your favorite treats, macaroni and cheese and pizza, rolled into one awesome entree. 2. Add 3 slices of American cheese and 1/4 cup of milk to make a little extra cheese sauce. Stir over low heat until melted. 3. Brush pizza crust with olive oil. 4. 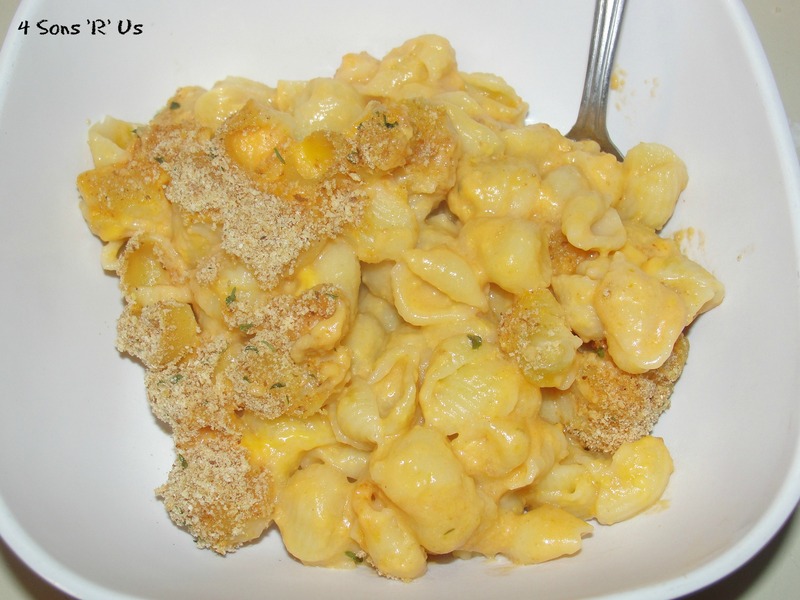 Top with macaroni and cheese. 5. Sprinkle with shredded cheese. 6. Bake at 450 degrees for 7-10 minutes. If using a homemade crust, you’ll need to let it cook a little bit longer to get it firm/crisp. Another Lenten Friday came and went, and I came up with another meatless meal for everyone to enjoy. I may have to lose the meat for a few weeks, but I’m not giving up anything in flavor. 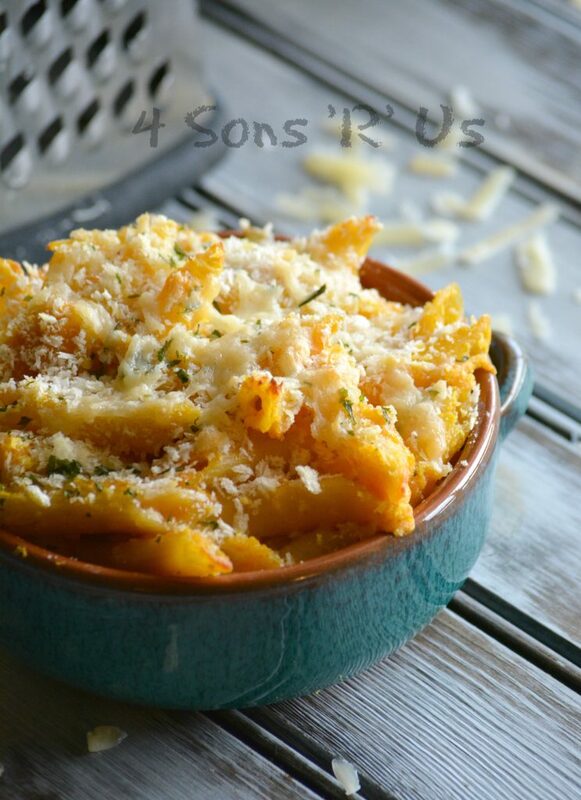 This flavorful twist on a classic macaroni and cheese, complete with a crunchy panko topping, definitely delivered. 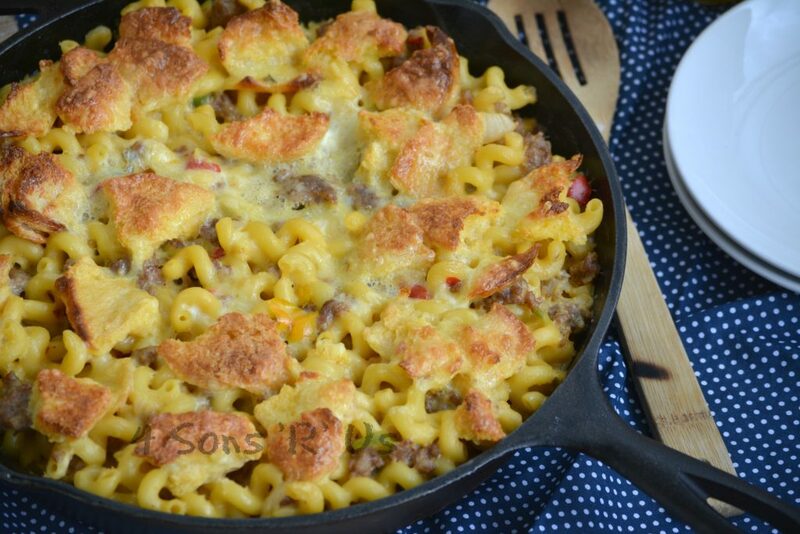 Because you’ll want to grab a spoon and consume this entire casserole dish. BY YOURSELF. Not in the neighborhood for a meatless meal? No worries. This recipe can still be your friend. Add in some cooked, shredded or chopped chicken, and carry on. 1. Preheat oven to 350 degrees and butter a large casserole dish (9×13 is recommended). 2. Bring a large pot of salted water to a boil and cook macaroni until al dente or the shortest amount of cooking time on the box or less. Drain. 3. Melt 2 tablespoons butter in a medium saucepan over medium heat. Stir in the flour and mustard and whisk until smooth. Whisk in the half and half, and the hot sauce. Stir until thick, about 2 minutes. Add the cheeses and whisk in the sour cream. Stir until smooth. Remove from heat. 4. Spread macaroni in the baking dish. Pour the cheese sauce evenly over the top. 5. Melt the remaining 2 tablespoons of butter in the microwave. Stir in the panko and the blue cheese if using. Sprinkle over top of macaroni. Bake until bubbly, about 30 minutes. Let rest for 10 minutes before serving.